While scrolling through our favorite online shopping destinations, we came across a sweater that rivals all of our fall basics. On Need Supply, a chartreuse-hued balloon sleeve sweater emerged out of a sea of neutrals. When paired with wide-leg white jeans and black heeled boots, it makes for the perfect statement piece. The key to creating an interesting winter wardrobe is with pieces that make a statement, even when they’re a necessity. It’s cold and we have to wear sweaters. So, we might as well make the best of it. 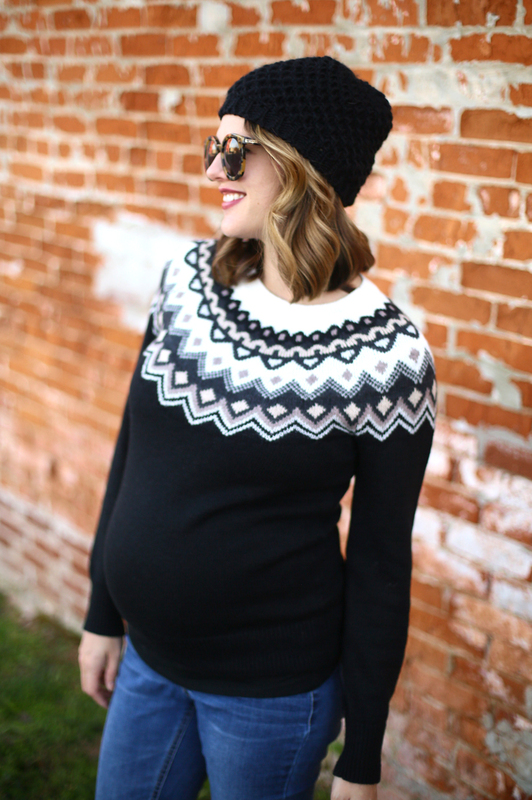 We rounded up some of our favorite sweaters, from balloon sleeves to pom-pom embellished. Shop them below. The colorful choices of Spring 2018 were evident during Stockholm Fashion Week. No color combination stood out more than red and pink. While you may think red and pink would clash, this outfit proves otherwise. An oversized red cable knit sweater paired perfectly with a pair of satin wide leg pants. This combination never looked better. Affordable knitwear can be a lifesaver considering how often we wear them during the colder months. 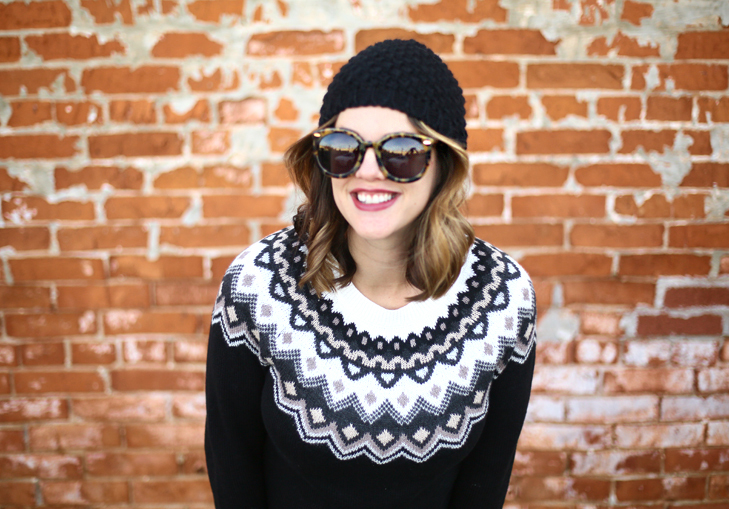 Now more than ever, having a plethora of sweaters to layer and bundle up in is of the utmost importance. 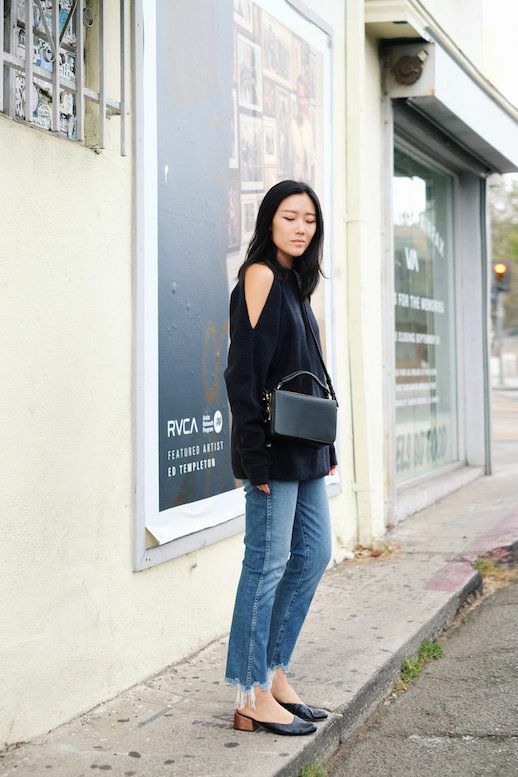 We’ve rounded up 12 sweaters from plain black to embellished, that’ll carry you throughout winter without breaking the bank. In the meantime, theyâ€™re on an on trend piece, so theyâ€™re available at a variety of price points from different stores. I spotted this one, hiding behind a brighter cousin, last weekend. 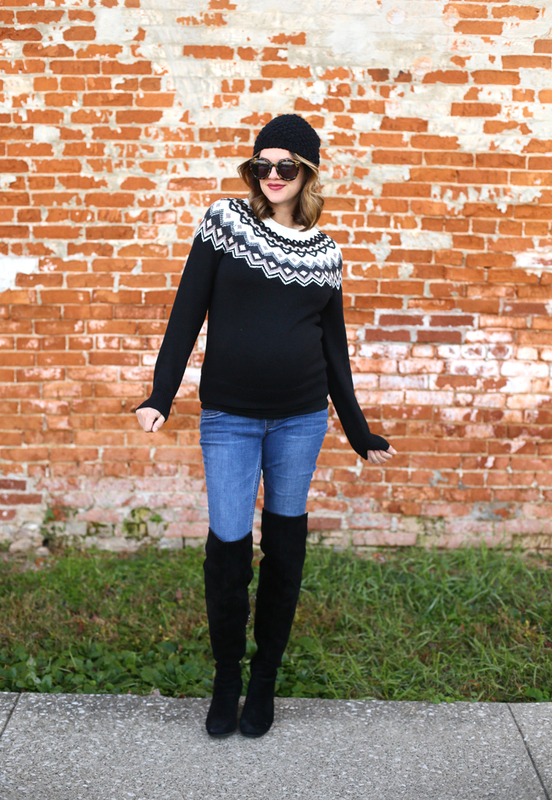 I loveÂ the muted neutral tones and believe it or not, itâ€™s notÂ a maternity style. It under $40 but looks so much more lux to me!! Iâ€™ve styled it in my go-to casual yet (kinda?) chic uniform. Jeans, OTK boots, big sunglasses and a hat. 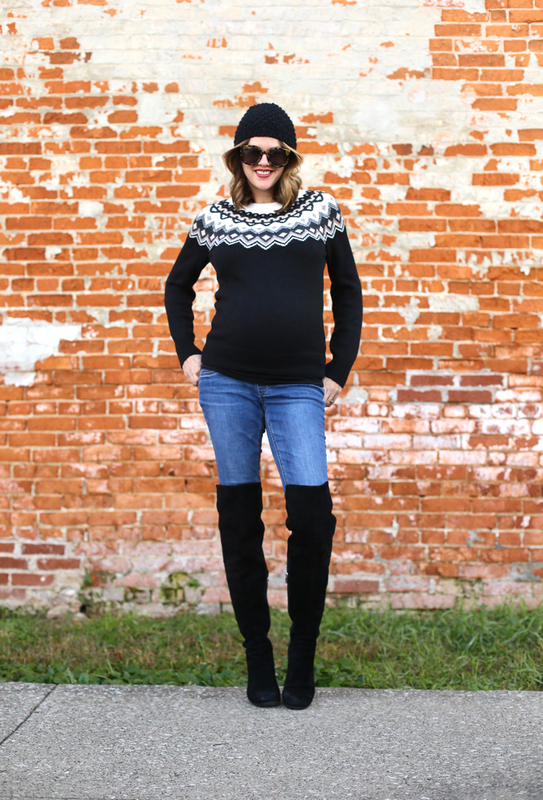 The boots seem to balance out my bump nicely and theyâ€™re warm and comfortable. Bonus points for getting up, getting ready, and getting out the door in under a half hour! Olive and forest green tones made waves during fashion week, easily giving all black a run for its money. It’s flattering against every skin tone and just as slimming. Camille got the memo in this sick outfit. She layered an olive sweater over a patterned turtleneck and wore them with a matching leather skirt and camel patent leather booties. We’re so into this look. The trending pant length is kicky, ankle-bearing, and particularly cool in the form of leather. Blogger Caroline Blomst makes a case for cropped leather pants by pairing her own with a textured turtleneck sweater and tartan slip-on sneakers. Gigi Hadid makes makes jet lag look runway-ready. Instead of sleeping in and opting for sweatpants and sneakers, she paired her Stuart Weitzman over-the-knee boots with slightly distressed dark-wash jeans and a fringe trim cowl neck sweater. With an airport outfit this chic, she’s prepared to be spotted without the shame. When it’s too cold to think, coming up with different or interesting outfit ideas can get a little bit tricky. 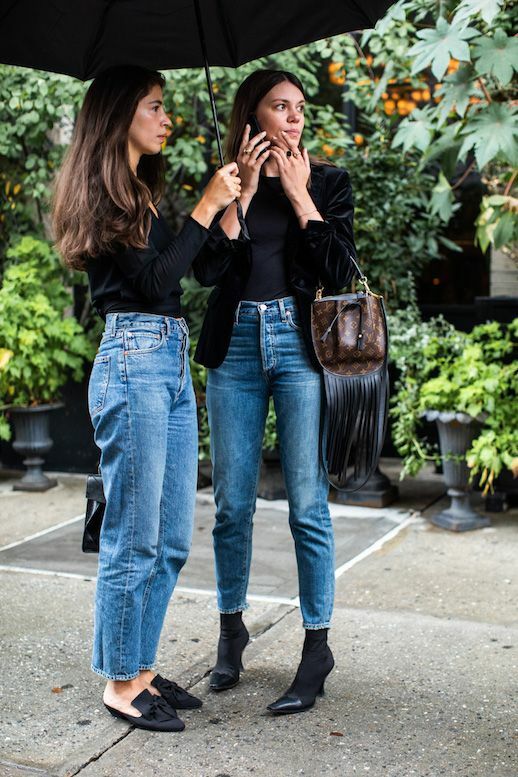 Leandra Medine of Man Repeller shows us that a simple outfit can be elevated with the right accessories. She made this otherwise classic outfit cool with a wide brim fedora, longline coat, cable-knit sweater, and patent leather ankle boots.